On Friday, U.S. District Court Judge James Robart blocked President Trump's U.S. entry ban. White House press secretary Sean Spicer has since accused the judge of going "rogue." 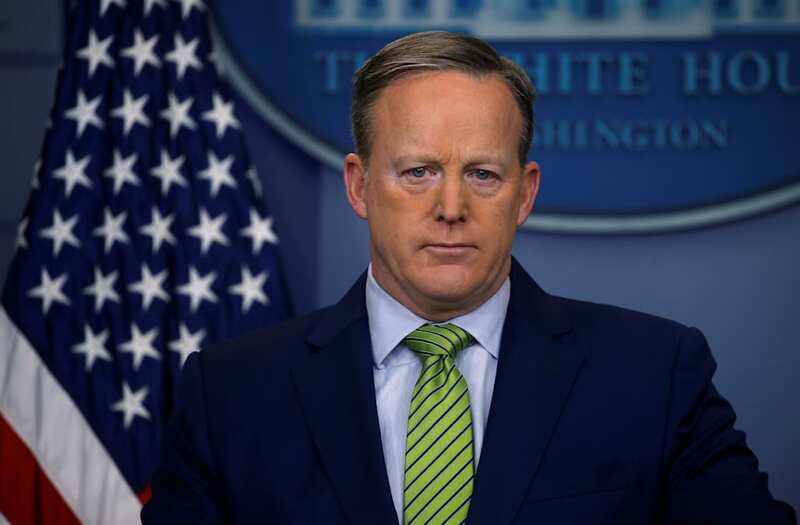 In a Fox News interview that aired on Monday, Spicer said, "The law is very clear that the president has broad powers to keep this country safe...He's utilized that power in a very legal, constitutional manner to ensure that we are safe, our country is safe our institutions are safe. It's somewhat sad to see a judge go rogue like this." The statement, of course, is not definitive, as the courts are in the process of determining how much of the order is, in fact, lawful. However, Spicer's words are in line with the statements the president has made on Twitter. On Saturday, Trump wrote, "The opinion of this so-called judge, which essentially takes law-enforcement away from our country, is ridiculous and will be overturned!" and, "The judge opens up our country to potential terrorists and others that do not have our best interests at heart. Bad people are very happy!" A day later, the president tweeted, "Just cannot believe a judge would put our country in such peril. If something happens blame him and court system. People pouring in. Bad!"